Portuguese Primeira Liga outfit, Belenenses have completed the signing of attacking midfielder, Nathan Allan de Souza on loan from Chelsea for the remainder of the 2017-2018 season. Belenenses confirmed the signing of the Brazilian winger on Thursday on their official website. 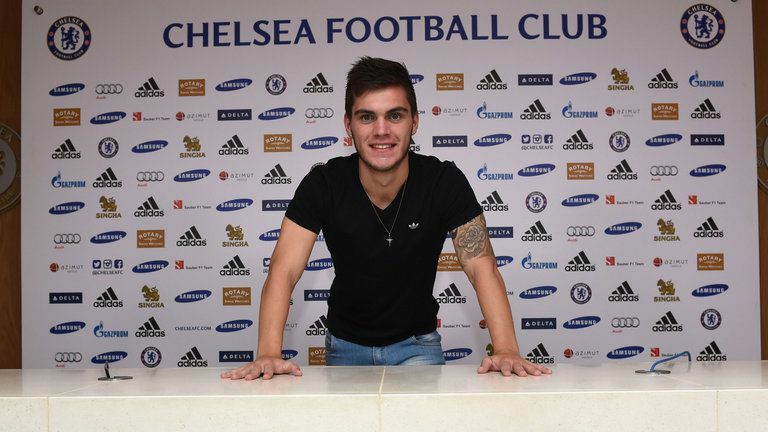 “The club have completed the signing of Nathan Allan de Souza on loan from Chelsea for the remainder of the 2017-2018 season,” Belenenses said on their website. Nathan was snapped up by French Ligue 1 side Amiens on a season-long loan last summer but had to be recalled from the loan spell as it wasn’t beneficial to both parties. The 21-year-old managed only nine minutes of game time in Ligue 1, while he played two games in the Coupe de la Ligue. The midfielder began his career in his homeland with Atlético Paranaense, before he transferred to Chelsea in July 2015. His contract with the Blues runs out at the end of the 2019-2020 season.